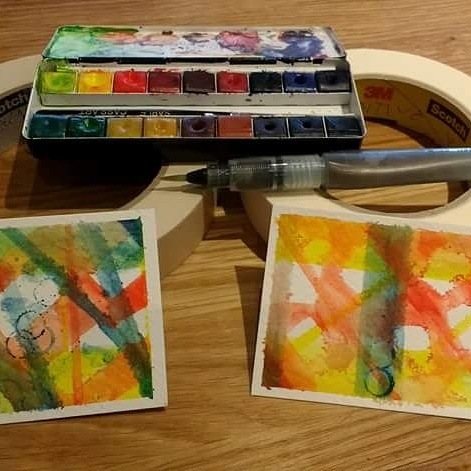 I was recently sent a couple of different scotch masking tapes to try out so thought I'd put them through their paces with my watercolours. For my first comparison I used 2.5 x 3.5 inch 300gsm Daler Rowney NOT surfaced watercolour paper and my travel Artist watercolours from Cass Art. 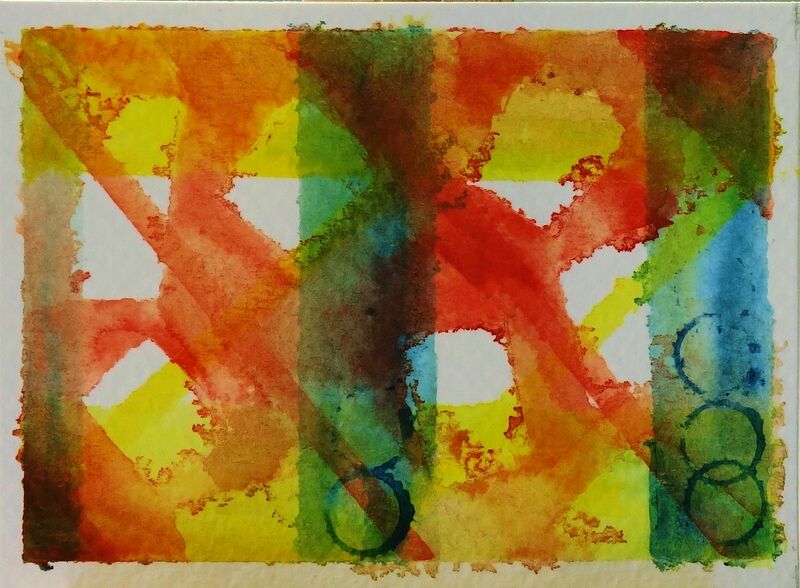 The colours I chose to use were cobalt blue, cadmium red and cadmium yellow. I taped the paper to a board all round the edges, this stayed in place for the entire painting. 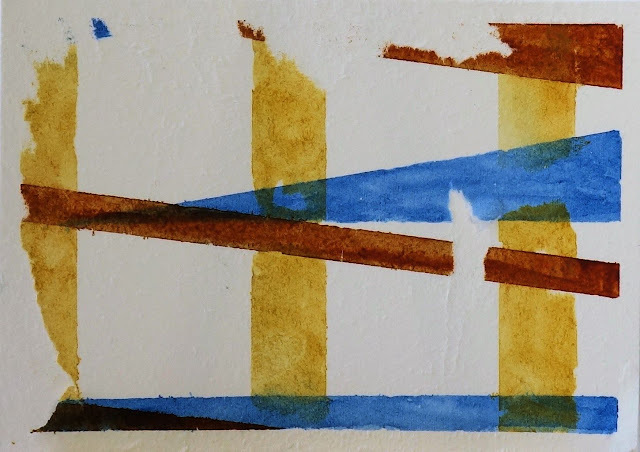 Next I put a couple of pieces of tape across the paper and painted the remaining white paper with my cadmium yellow watercolour paint. When this was almost dry I removed the masking tape that was over the centre of the paper, placed it somewhere else, and painted the paper that had no tape on it with cadmium red. I repeated this process with cobalt blue and then added a few more layers in thesame vein. Finally I printed a few circles using the cap of my waterbrush dipped in watercolour paint. After giving it a day's thought, I decided that perhaps the seepage under the tape was because NOT surfaced paper is slightly bumpy. 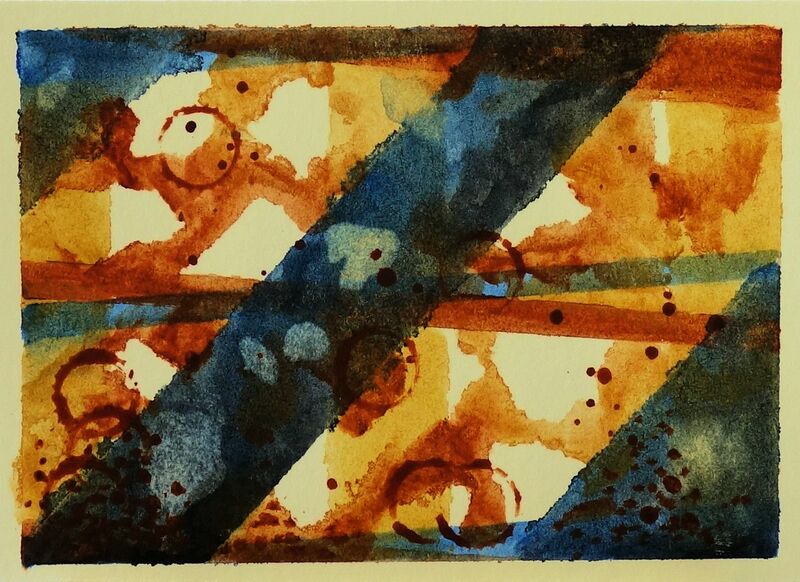 So I repeated the experiment with 300gsm Langford smooth hot pressed watercolour paper, switching colours to Burnt Sienna, Raw Sienna and Cobalt Blue. 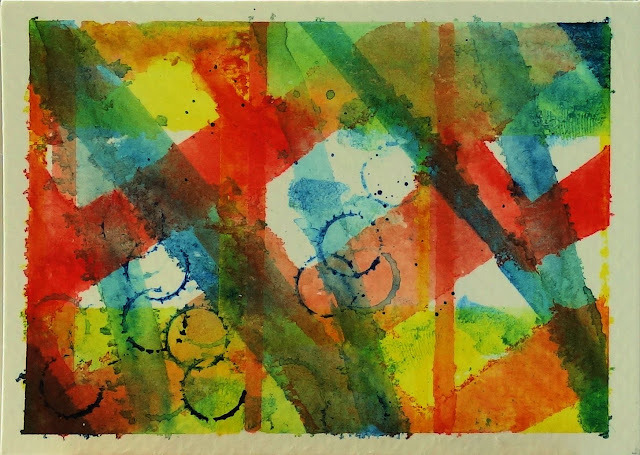 In conclusion, I can heartily recommend "Scotch Masking Tape for Delicate Surfaces" for use in watercolour painting. "Scotch Greener Masking Tape" is very strong and good for taping paintings into mounts (or matts) but I would not recommend it for use the actual painting process.